Lebanese weddings are often known to be over the top. Whether you want to go traditional or add in a few Lebanese traditions, we look forward to providing you with the best wedding singers. We can help you find songs for weddings that you and your guests will love. Plus, we can offer some popular venues for you to choose from. 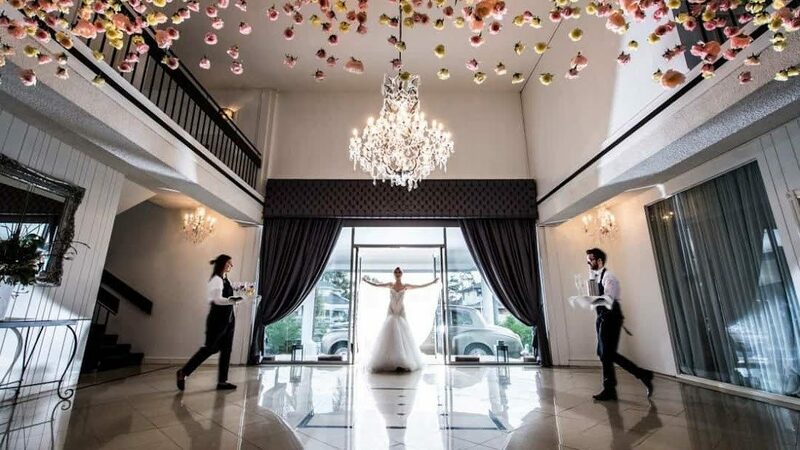 Check out Melbourne Lebanese Wedding Ideas and Popular Venue Choices. You may be looking for ways to turn your wedding into an extravaganza. The general idea behind Lebanese weddings is that it is a grand celebration, so the bigger you go, the better received it will be. Fireworks are commonly used at weddings. Find out from your venue if this is allowed. You may then want to find a professional who will set off fireworks behind the venue. Consider the cuisine. You may want to have multiple platters or a formal sit-down. No matter what, you want to make sure that the Middle Eastern food is delicious. Prepare for cutting the cake with a sword. This is a common tradition across all Middle Eastern cultures. If you don’t have a sword, talk to relatives. It is likely that someone will have one for you to use on your big day. It’s important to focus on the music at a Lebanese wedding because there is always a significant amount of dancing. We can provide you with the wedding singers to play all the contemporary and classic hits fronting the Melbourne wedding band lineup. The venue that you choose for your Lebanese wedding should be of the utmost importance. Regardless of where you decide to be, you can count on finding a wedding singer to perform. If you want to have the quintessential princess wedding, you may want to consider getting married at this Melbourne Castle. It is a stunning venue with manicured gardens across the premises. If you would like to have a beachside wedding, this is an ideal location. They can accommodate as many as 130 guests here. Plus, you get to enjoy views of Port Phillip Bay. Lavish receptions take place here and can accommodate as many as 400. Whether you are looking for an indoor or outdoor reception, it can happen here. Particularly if you are looking to go over the top, this location has elegance around every turn. The Victorian mansion can accommodate as many as 150 guests and it delivers old world charm. This wedding venue is elegant. There is a glass conservatory, high ceilings, as well as a large dance floor. This venue is actually a Lebanese restaurant located in Balwyn North, Melbourne. They offer a variety of private celebrations and can even add a belly dancer to your reception. More importantly, you can count on the venue for providing you with award-winning authentic dishes. With so many venues to choose from and Melbourne, there will be one based on the kind of wedding you want to have. You can then rely on us when it’s time to find a wedding singer.